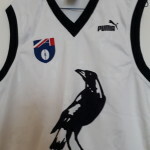 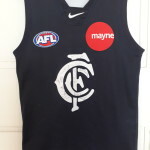 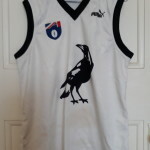 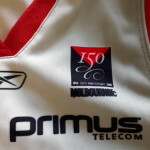 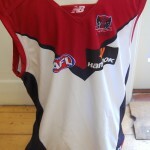 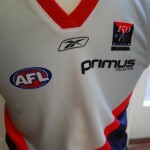 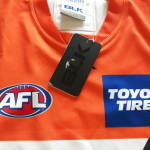 An AFL or NRL Football Jumper,Jersey, Guernsey, can be dated from the sponsors logo. 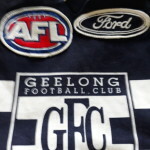 Keen fans will know the age of the Jumper,Jersey, Guernsey by the logo patch. 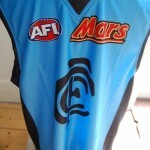 Fans are happy to wear their Jumper,Jersey, Guernsey to home and away matches despite the current signage. 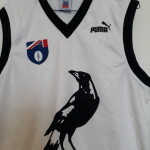 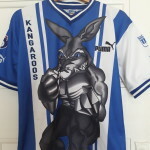 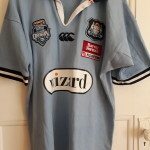 Especially prized are those Jumpers,Jerseys, Guernseys sporting older team logos, which advertises their obvious vintage or retro connections.